Areas of operation: Standard tasks on the spindle moulder or on the edge sander, with the surface planer, edger and parallel cuts. Advantages: Exact and clean work, constant feed rate, consistent and precise results. 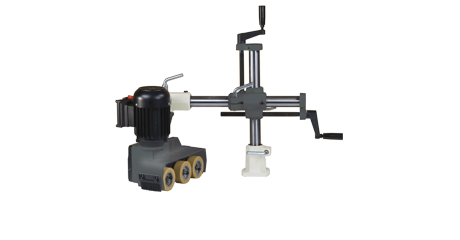 The swivel-away unit for the feed apparatus provides you with a maximum of operating comfort.